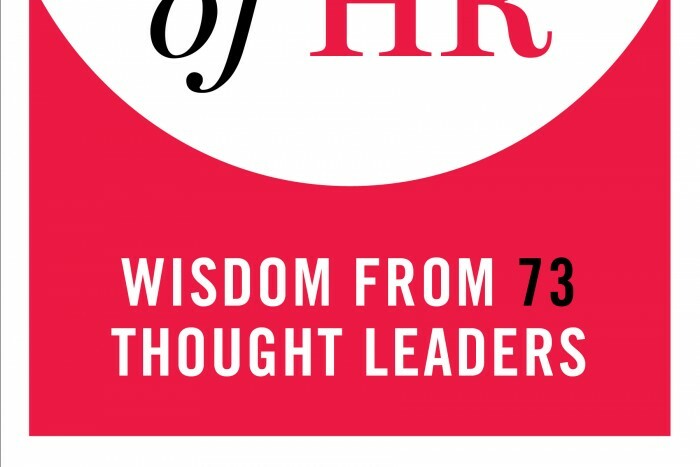 Editor’s Note: This is the first of 12 essays from the new book, The Rise of HR; Wisdom From 73 Thoughts Leaders. It’s compiled by Dave Ulrich, Bill Schiemann and Libby Sartain, and sponsored by the HR Certification Institute. The human resources profession is at a crossroads. Reskilling the HR function itself, which often feels behind. If we consider HR’s job as the steward of the “people processes” in a company, we have to recognize that almost every part of management, capability building, recruiting, and communication has been radically changed by technology. The overwhelmed employee. Today the barriers between work and life have gone away. More than two-thirds of our research respondents tell us they are “overwhelmed by work.” A National Journal poll found that more than 40 percent of all workers today believe it is impossible to get ahead in their career without significantly sacrificing time with their family and personal life. Companies are struggling to deal with this issue and know we need to simplify, help people focus, and reduce complexity — but how we create this “new organization” is still a work in process. Transparency of all people data. Almost all HR-related information is now freely shared on the Internet. Glassdoor holds unfiltered feedback about an organization’s CEO, culture, and benefits; LinkedIn is an open recruiting tool that lets recruiters find and contact more than 500 million professionals at almost no cost; and a flurry of new tools are now enabling employees to share their salaries, rate their managers, and talk about what it’s like to work at their company. Should we still have secret talent reviews and performance ratings? More and more people resent this. They expect transparency in HR practices as well as from leadership. Accelerated expectations for careers. Only 30 years ago, when I entered the workforce, we expected our employers to give us lifetime careers. Today this expectation has all but disappeared, and young employees change jobs every 12 to 24 months readily. In his new book The Alliance, Reid Hoffman, chairman and founder of LinkedIn, writes that we have entered a world where workers are like professional athletes. They work for a company and contribute for a while, but when needs change, they move to another team, taking their skills and expertise with them. So the concept of a “job” has changed and organizations have to manage their teams in a world of a rapidly changing, mobile, contingent working economy. Companies now have to move beyond “succession management” to putting in place what we call programs for “facilitated talent mobility.” But how? New models of leadership. One of the most important roles HR plays is the development and support of the leadership pipeline. But leadership styles and needs today are radically different from the traditional models pioneered by GE and IBM in the last few decades. Leaders must be agile, globally aware, innovative, and highly collaborative. While the top-down hierarchical structure still exists in most companies, more and more research shows that it is empowerment and agility that drives success in today’s economy. The enormous power of data and science. Finally, HR must come to grips with the fact that data and science are going to transform much of what we do. Many of the “gut feel” decisions made by management (and HR) are soon to be replaced by data-driven decisions: who to hire, who to promote, what career paths to facilitate, how much to pay people — and even where to locate a facility, how big an office someone needs, and what type of food we should serve in the cafeteria. All these decisions, many of which were made by HR working with leadership, can now be informed by data and science, making the “datafication of HR” a new and urgent priority. How do all these changes impact our profession and the organizations we build in HR? I suggest the changes are profound, important, and exciting. First, HR teams must become more educated and professionally conversant in the digital world of business. Today’s organizations are flooded with new tools and technologies for work, new ways of working, and a deluge of multigenerational work issues. Old-fashioned HR practices, many of which were developed around the turn of the century, simply have to be reengineered. Take programs like performance management (only 8 percent of the companies we surveyed believe the time they put into performance management is worth the effort), which is shifting radically away from forced ranking and rating toward an agile, open coaching and development process. Look at succession management, which is only used by 30 percent or fewer of top executives and fewer than 15 percent of leaders at lower levels. These traditional practices, which were designed to operate in top-down hierarchies of the past, simply do not work well today. We need to reinvent them. Should compensation be fair and equal or do some people really deserve to make 10 times the rewards of others? Research shows that the latter is true today — the traditional “bell curve” of performance is not even valid, so perhaps our compensation models need to be changed as well. The HR organization of today is highly enabled and empowered by technology. This means HR professionals must be familiar with software, data, analytics, mobile tools, and all the vendors building innovative solutions. The days of “HR technology” sitting in the basement running PeopleSoft are over. Today mobile collaboration tools, mobile recruiting tools, and predictive analytics tools are among the most important parts of the HR ecosystem. People in the HR function must feel comfortable with technology and be willing to learn and look at data. One CHRO told me, “I am no longer hiring anyone into HR who does not have at least a working set of expertise in statistics.” We in HR must be vigilant of new technology and constantly research and study how it impacts the workplace and all our management practices. Finally, as we reinvent what we do and what we know, we have to reinvent where we spend our time. Technology is now making more and more of the “generalist” function available to people online or through a service center (e.g., managing my benefits, viewing vacation days, etc.). Self-service cloud-based HR technology is what we call a “system of engagement,” meaning it is now designed to let individual employees and managers serve themselves. This means that HR teams must become business advisors, consultants, and expert specialists in their domain. Our job is no longer to be a “generalist” waiting for someone to help, but rather a trusted business advisor, trained with excellent skills and connected to what we call “networks of expertise” (not just centers of expertise). Specialists (recruiting, OD, employee relations, compensation) can and should be more embedded and assigned to the business, so they must be networked and share information and skills with one another. The HR professional of today is more likely to be a talent expert, a technology expert, and a consultant — and less likely to be an OD professional who likes to train and help people. How to manage, leverage, and exploit data and technology. I believe HR is a “craft” and these skills are learned over time, through apprenticeship, and through study and research. If we think about the talent and technologies now impacting HR, these are difficult roles to fill, so the bar has been raised for everyone in our profession. And there is no question that the digital transformation of business will continue to accelerate. How we work, what we do, and how computers and data inform and aid our jobs will continue to change over time. Human resources professionals, as the stewards and experts in people and change practices in the organization, must reinvent ourselves so we stay relevant, valued, and strategic in the organization of the future. Compiled by Dave Ulrich, Bill Schiemann and Libby Sartain, and sponsored by the HR Certification Institute, The Rise of HR: Wisdom from 73 Thought Leaders is an anthology of essays addressing the critical issues facing business and talent professionals today. The full eBook can be downloaded @ www.riseofhr.com. Reprinted with permission of HRCI. Josh Bersin founded Bersin in 2001 to provide research and advisory services focused on corporate learning. He is responsible for the long-term strategy and market eminence of Bersin by Deloitte, Deloitte Consulting LLP, a leading research and advisory firm empowering human resource organizations to drive bottom-line impact.